In June, IBJ opened a Defender Resource Center in Bukavu, in the Congolese province of South Kivu. 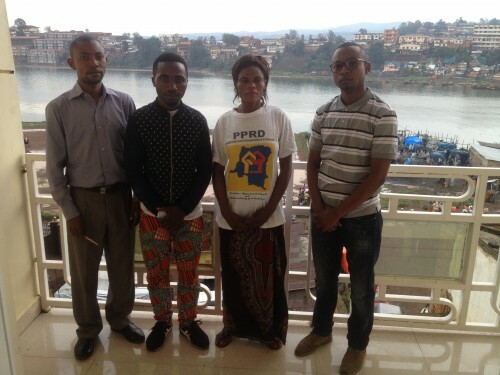 By early November, the small team of dedicated lawyers leading IBJ’s efforts in the DRC had assisted over 100 people in Bukavu Central Prison with free legal representation. 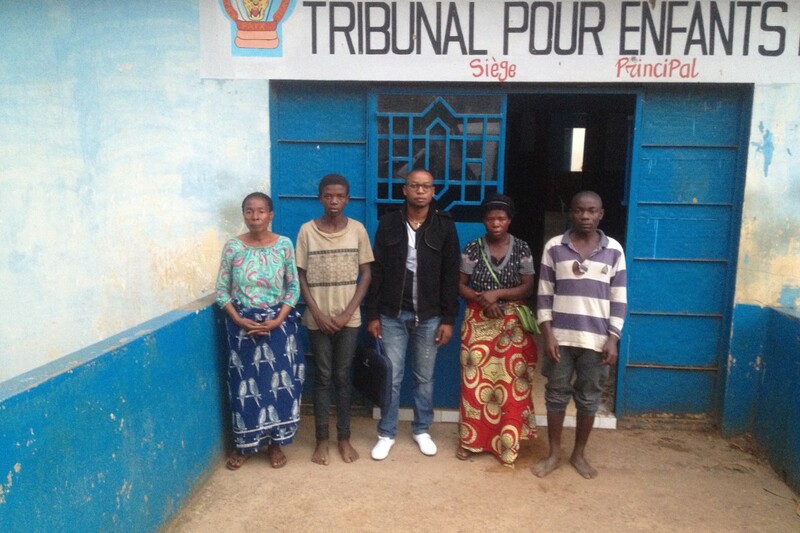 Crispin Sangara (center) stands with two 13-year olds and their mothers outside the Children’s Court of Bukavu. Crispin, who is a volunteer lawyer with IBJ Congo working on juvenile justice, provided legal assistance that resulted in the young boys’ release. They were imprisoned for 2 months accused of stealing a bicycle. The provision of free legal assistance is a central part of IBJ’s strategy to prevent torture and reduce human rights abuses in prisons. The need for such assistance in the DRC is especially urgent: there exists neither state-sponsored legal aid nor NGO-sponsored free legal aid to criminal defendants. This has resulted in a staggering pre-trial detention rate of 73%. In other words, almost 3 in 4 prisoners who are kept imprisoned are detained without trial. As a consequence, individuals have no access to legal protection if they are arrested. They are kept in overcrowded, often dangerous conditions, and due to their imprisonment are unable to support their families. Today, IBJ is the only organization in DRC with the capacity to provide legal assistance to individuals who are too poor to otherwise afford a lawyer. Apendeke Ngalula is 37 years old. She was falsely accused of abducting a child, despite neighbours witnessing Apendeke giving the child in question to her parents. Seeking IBJ for legal assistance, IBJ succeeded in getting her detention order lifted by the investigating magistrate, as the accusations against her were groundless. The scale of the problem is great. In Bukavu Central Prison alone, over 1,000 individuals are held in pre-trial detention. As such, there is an urgent need for IBJ to scale up its operations and make free legal representation widely accessible. These efforts are crucial to strengthen rule of law and advance access to justice in the region. Already IBJ’s hard work is bearing fruit: dozens of individuals have thanks to IBJ’s timely intervention been reunited with their families. Furthermore, authorities in the region have shown themselves open to engaging in constructive discussions about the state of criminal justice. The President of the Tribunal de Grande Instance de Bukavu, Luc Mushagalusa Basedeke, has stated that since IBJ started working in Bukavu, there has been a noticeable impact on the speed at which cases are being processed. The IBJ Congo program is spearheaded by country coordinator Charles Mugaruka Mupenda. “It has been my dream and my passion to work in my country, my region, to make justice a reality,” says Charles, whose engagement with IBJ started through the JusticeMakers program in 2012.